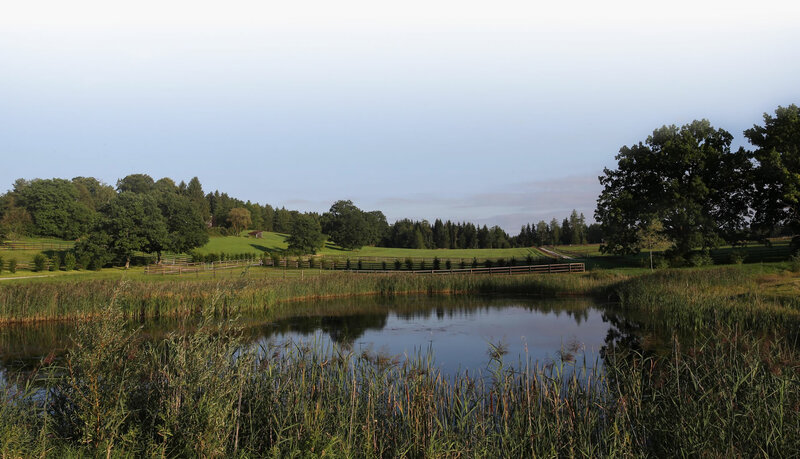 Nestled in a gentle rolling landscape surrounded by forested areas and fish ponds, the Bernried stud farm is situated on the western shore of Lake Starnberg. With its spacious stable buildings, 76 light and airy boxes, a 20 x 60 m indoor riding arena, a 20 x 80 m outdoor riding arena and 100 hectares of pasture land, Bernried offers ideal conditions for breeding and raising horses. Next to the stud farms' own stallions, broodmares and foals, guest mares and their offspring find a perfect home here as well.